The Stevie® Awards today announced the nine executives who will chair and form specialized final judging committees for its 13th Annual American Business Awards, the top business awards competition in the USA. 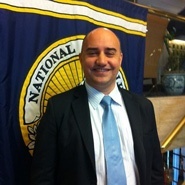 Dennis Najjar, co-Founder of AccountingDepartment.com, has worked in public accounting since 1982. After graduating from Rutgers University in 1982, Dennis joined Coopers & Lybrand. 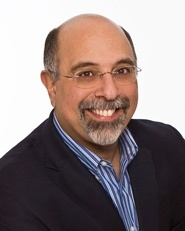 In 1986, Dennis started the public accounting firm Dennis M. Najjar, CPA. His practice had an emphasis on tax planning and preparation for corporations, partnerships, and individuals. Throughout his career, Dennis has worked exclusively with small, medium, and start-up businesses, giving him the knowledge and experience to oversee the AccountingDepartment.com team in helping clients with strategic business planning for future success and growth. In the late 1990s and early 2000s, Dennis had a vision that would change the world of accounting services as we knew it. He envisioned a world-class team of professional bookkeepers and controllers, providing full-charge bookkeeping and financial controllership services to small and mid-sized businesses throughout the United States. He saw an opportunity to build the entire company virtually from the ground up, virtual brick by brick. Thus a new age of outsourced, cloud-based accountancy dawned. Since that moment, Dennis has striven, alongside AccountingDepartment.com co-Founder Bill Gerber, to build and promote an entirely virtual company dedicated to the promotion and advancement of enterprise-level services for the SMB market. Now, AccountingDepartment.com is the leader in virtual accounting, bookkeeping, and controller services. Founded in 2004, AccountingDepartment.com provides comprehensive online accounting and accounting technology services for established businesses. The 2014 Gold Stevie Award winner for Company of the Year – Professional Services, AccountingDepartment.com is leading the revolution in the online accounting services industry. Laura was honored that Klein Steel was recognized among such highly esteemed, organizations in The 2014 American Business Awards. She is looking forward to reviewing the 2015 Finalists in her role as Chair of the Website Final Judging Committee. 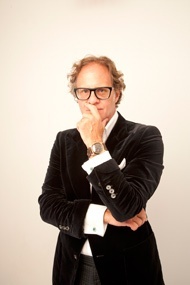 Scott is the founder and Global Managing Partner of inVNT, a global brand communications agency that collaborates with brands and organizations to create remarkable moments that stir emotions, challenge convention, mindsets, competitors, and the market. With a reach that spans sixty countries across six continents, inVNT works to launch products, build brand allegiance, deepen relations, create demand and align organizations with target audiences. 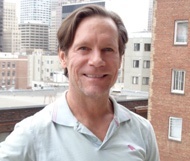 Scott has over 20 years of experience in brand communications and campaign marketing. He is an industry leader who has helped to shape and refine the way organizations communicate to their employees, customers, consumers, the media, and their business partners. Scott is a regular speaker at industry events and has been covered by, or featured, in trade publications and national media outlets that include Ad Age, FOX Business News, BIZBASH, Brand Republic, 1to1 Media, Forbes, CNBC, Event Marketer, ADWEEK, The Guardian, Successful Meetings, MPI One+, Crain’s New York Business, Bloomberg, BusinessWeek, and Fortune Magazine. Scott has led teams in the design, production, and execution of hundreds of the largest B2B and B2C campaigns for many of the worlds leading brands, companies, and trade organizations to include: PepsiCo, Merck, Honeywell, Porsche, Barnes & Noble, Genentech, NewsCorp, Weight Watchers, Gatorade, and MetLife. Chris Hook, Director of Global Marketing at AMD, is an acclaimed PR and marketing visionary with over 20 years experience directing innovative global marketing, public relations, and social media campaigns for a variety of Fortune 500 technology companies, consumer brands, government leaders and non-profit organizations. Known for building agile, aggressive, highly effective teams with a laser-focus on results, innovation leadership, measurement and continuous improvement, Hook led the efforts behind AMD’s 1st place Grand Stevie Award at the 2014 ABAs, including 3 Gold Stevies in the Corp Comms/PR/IR category. In December 2013, PR News named Chris Hook PR Professional of the Year. Chris is delighted to have been selected as Chair for the Corporate Communications Final Judging Committee. 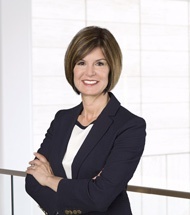 As Senior Vice President of Emerging Consumer Markets, Joni Arison leads the team responsible for exploring innovative business models and transforming emerging consumer markets to drive value and growth in AT&T Home Solutions. The team supports functions that include AdWorks, Chat, Connected Communities, Door-to-Door Sales, Online Sales, Social Media Care, and Wireless Home Phone. Joni also holds P&L responsibility for legacy voice, DSL, and satellite TV services for Home Solutions customers. Prior to her current role, Joni was responsible for the Small Markets Solutions business unit. This multi-billion dollar organization, which included legacy voice, DSL, and satellite TV, served Home Solutions customers throughout the 22-state footprint. Previously, Joni had served as Chief Marketing Officer for Home Solutions, where she was responsible for driving consumer wireline marketing, product definition, lifecycle management, customer experience, and key consumer marketing programs. In 2012, she served as Senior Vice President of Small Business Marketing. From 2010 to 2012, Joni was Senior Vice President of Sales for Advertising Solutions in the Southeast and South Central regions, where she was responsible for a revenue stream of over a billion dollars while leading the Online and Print Advertising sales force. Joni started her career with AT&T as part of a management training program while in undergraduate school in Connecticut. 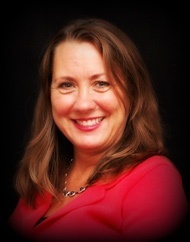 Her sales career began when she was appointed an Account Executive in Advertising and Publishing, and her experience spans wireline and wireless, business and consumer channels, and includes sales, sales training, sales management, and call center management as well as consumer and business marketing. Joni is an active volunteer, supporting Big Brothers & Big Sisters, The Boys and Girls Club of Fort Worth, and Junior Achievement of Dallas. She is a member and mentor of Women of AT&T, and is also a National Advisory Board Member for OxyGEN. Joni is a supporter of the Susan G. Komen Breast Cancer Foundation and has participated in the Breast Cancer 3-day walk. She also serves as a board member for the YWCA of Metropolitan Dallas. After graduating from Quinnipiac University with a Bachelor of Science Degree in Business Management, Joni earned an MBA with a concentration in Marketing from the University of New Haven. Now residing in Southlake, Texas, Joni enjoys spending time with her husband and two boys. Alison is a senior communications professional with in-house and PR agency experience, and a strong foundation in print and broadcast journalism. She has lead external communications for large and small organizations, both public and private, across a broad array of industries including manufacturing, hi tech, and automotive. Alison currently serves as Director of External Communications at Dealertrack Technologies, a leading b2b software provider for the auto industry that is changing the way people shop for and buy vehicles. Prior to Dealertrack, she was Director of Corporate Communications at Dealer.com, which was acquired by Dealertrack for $1B in 2014. 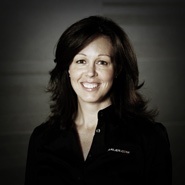 Before entering the automotive industry, Alison led PR for the global consumer packaging manufacturer MeadWestvaco, where she developed and managed a worldwide network of PR agencies, drove vertical PR programs, and served as spokesperson for financial events and corporate announcements including quarterly earnings, restructuring, acquisitions and divestitures, labor relations and other highly sensitive announcements. Before working on in-house communications, she served on the agency side, cutting her teeth in Silicon Valley during the hi tech bubble and burst, first as an account executive with Miller Shandwick then as an early founder of Voce Communications. At the heart of her communications career, Alison pursued journalism, both print and broadcast, including working at CNN where she produced a piece on solar power with BP’s former CEO that aired on Headline News. In 1991, after graduating with a Ph.D. in physics from University Paris-Orsay, Dr. Dan Yang began her career in France as an Associated Professor of Optics and Photonics. In 1993, she moved to Montreal to work as a scientist and designed submarine fiber-optic networking systems before quitting to pursue her career as a technology entrepreneur. 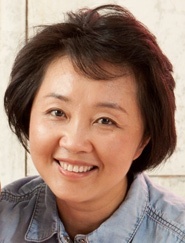 Very well recognized and "crowned" as the "Queen of Optical Amplifiers" by fiber-optic industry insiders, Dr. Yang is a renowned inventor with over 20 U.S. patents, some of which have become the standard for today's fiber-optic network. Following a series of technology ventures, including startups in Canada, the United States, France, Germany, and China, and inspired by her then-toddler daughter, Dr. Yang launched VINCI Education in 2010 to transform early childhood education. VINCI Blended Learning has earned numerous awards in the education industry, including a CODIE award for the Best Game-Based Curriculum in 2014. David is celebrating more than 25 years as a Training and Organizational Effectiveness professional. His broad range of accomplishments includes the development of multiple training programs, competency models, and feedback instruments in organizational performance improvement; leadership and professional staff skills training; sales and customer service training; team building; and team effectiveness. Prior to establishing GPS in 1986, David was a manager in the training departments of Salomon Brothers, Prudential Relocation, and GE Capital. He also held design and training positions with the SCM Corporation and NYC Transit Authority. David is either active in, or is a member of, a number of professional organizations including the Association for Talent Development (formerly known as ASTD), Society for Human Resource Management, and the Project Management Institute. David holds an MBA in Management and Organizational Behavior and a B.A. in Business and Industrial Organizational Psychology. After that, John led the turnaround of wine.com after the company went into bankruptcy. He bought the URL and other assets for a song and in less than a year had moved the company from Portland to San Francisco, done a complete re-organization, and delivered both revenue growth and the company’s first profitable quarter. Wine.com is now the amazon.com of the wine industry. Following that, John founded and raised a Series A for a SaaS Social Media Analytics technology company, Andiamo Systems. In the first 12 months of its 2007 launch, the company won enterprise clients including Warner Bros., Disney, multiple divisions of Microsoft, Pfizer, Roxio, and Adobe/Omniture. Andiamo was sold in 2009. In 2013 Deluxe (NYSE: DLX) purchased VerticalResponse, a leading email and social media marketing SaaS for small businesses that John had co-founded with his wife, Janine Popick, its CEO, in 2001. John served as a consultant and board member, and was heavily involved in the March 2014 launch of its freemium business offering. In 2014, John co-founded Dasheroo with James Ryan, Josh Feinberg, and Alf Brand. Dasheroo provides a way to bring together all the separate data sources a business needs to look at in order to be successful, make sense out of it.The application is free of charge and enables teams to track and collaborate on business metrics across the company in one dashboard. Dasheroo is backed by Cloud Apps Capital Partners and is located in both San Francisco, California and Austin, Texas.